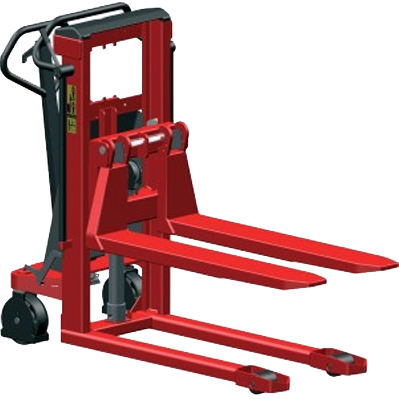 The new Bishamon EZ Loader can now handle a wide range of weight capacities from 113 kg to 1814 kg. To make it even better, we added the EZ Adjust knob – a three position know that allows adjustment of the collapsed capacity without changing the air pressure. 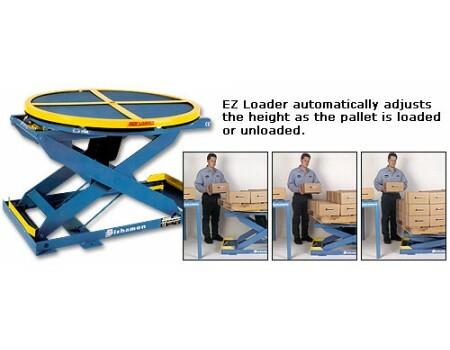 EZ Loaders are designed to eliminate worker bending by automatically raising and slowing pallets during loading or unloading without the use of mechanical springs, motors or hydraulics. 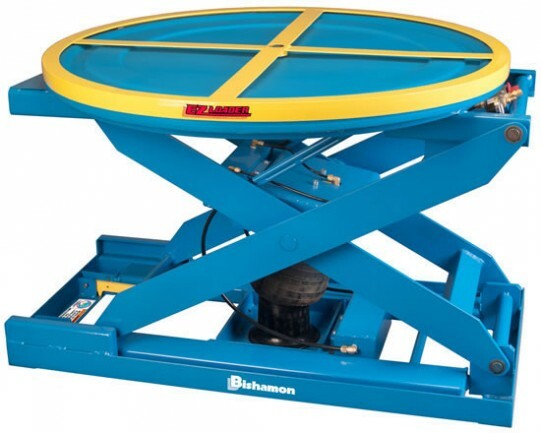 Bishamon EZ Loaders also allow easy pallet rotation for near-side loading so the worker does not have to reach or strain. As the load weight changes, the EZ loader automatically adjusts, keeping the top of the load at a convenient working height. The patented pneumatic system found only on the EX Loader has proven to be the choice of industry professionals worldwide. 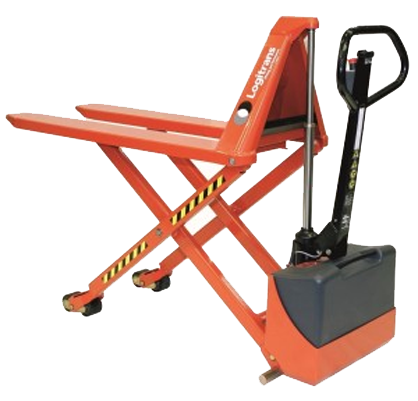 Self-levelling design automatically keeps the top of the load at a convenient working height to help eliminate bending and improve productivity. 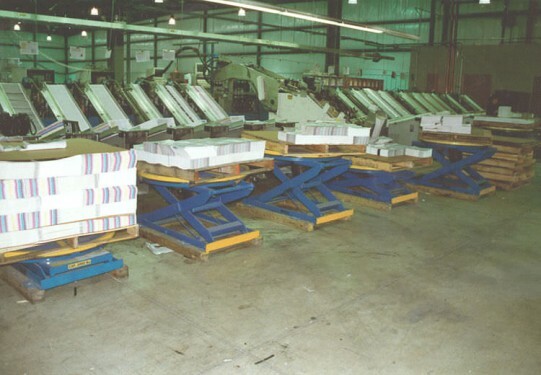 Captive air operation eliminates cumbersome mechanical springs and gives more controlled (dampened) movement of the platform. A full coverage finger guard eliminates pinch points between the rotator underside of the rotator ring and the bearings.